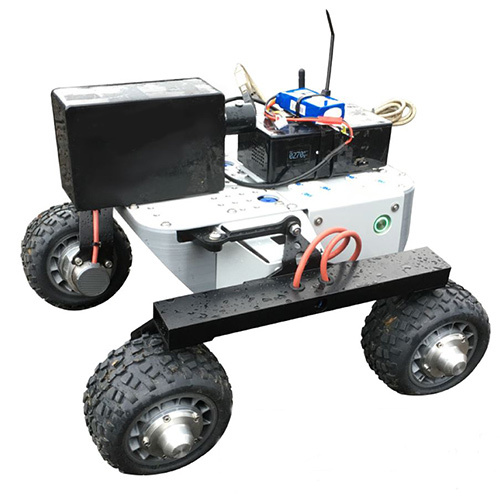 The Kromek UGV radiation mapping rover gives you real-time location measurement and mapping of radioactivity with isotope identification using a small ground vehicle (we call it the RadRover). This provides a ground-based metre resolution maps of radiation levels. 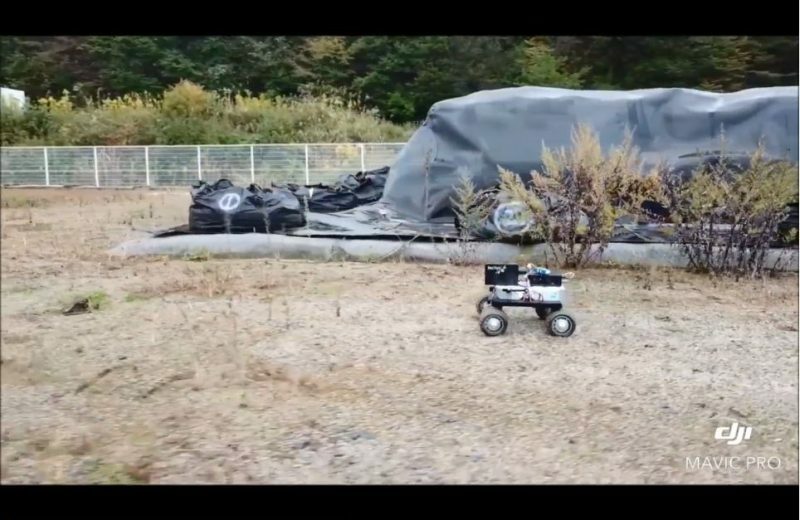 The UGV radiation mapping rover allows routine and repeated monitoring of site areas to rapidly provide data to highlight anomalous changes in radiation and its spread related to nuclear incidents or nuclear transport accidents. 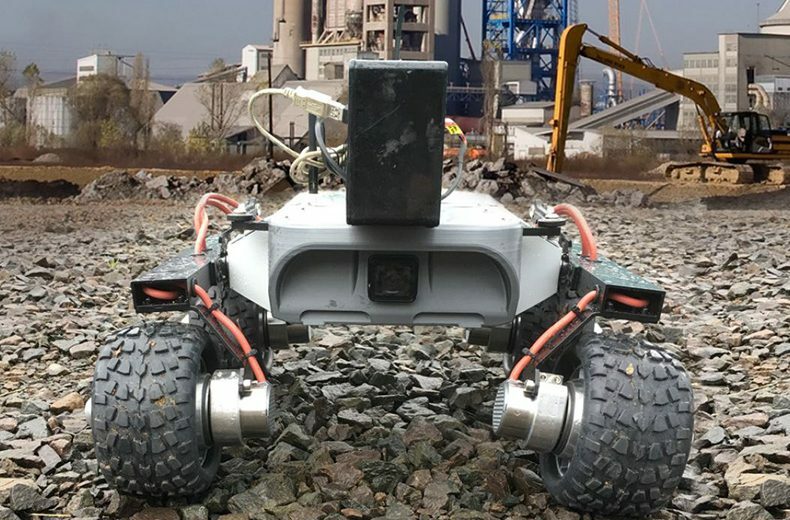 When deployed for site surveys on unmanned vehicles, because the operator remains at a remote distance, the RadRover effectively reduces worker exposure to radiation. The payload bay contains either one or two Kromek gamma spectrometers and positioning devices utilising custom-built software to combine radiation intensity and geolocation data to produce maps of radiation levels and identification of isotopes present. Using the RadRover you can rapidly collect radiation data with excellent sensitivity and isotopic fingerprinting. The RadRover can be pre-programmed for autonomous area surveys. Its onboard sensors include multi-band GNSS receiver (GPS, GLONASS) – readings include latitude, longitude, altitude, and uncertainties; temperature, pressure and humidity sensor; embedded real-time clock (Internet-connected units synchronise time with NTP servers); 9-DOF IMU (accelerometer, gyroscope, magnetometer). The software shows CPS and location, CPS over time, energy spectrum, dose estimation and isotope characterisation. Giving you a picture of the radiation spread over an area. We offer set-up and training for the RadRover including operating system maintenance, operational concepts, mission planning and use of the software.